There are many reasons for living on the beach. Hurricane Irma isn't one. Robert decides to leave for higher ground ahead of the mandatory evacuation order. He doesn’t want to be trapped on the island. 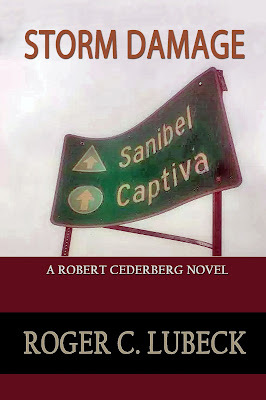 Robert and Saul Bernstein spend a day boarding up Robert’s house on Captiva. Saul’s plan is to ride out the storm at a girlfriend’s house on Sanibel. Robert is asleep in his hotel room when a security alert sounds on his cell phone. It is two in the morning. There is movement outside his house. Probably just the effect of the storm on his security sensors. Still, Robert calls the police only to learn no help is available. The storm has finally hit. The police say Robert can file a report after the storm. Minutes later Robert’s security alert sounds again. Broken windows. Robert calls Saul to let him know he is coming back but he will have to wait until after the curfew is lifted and the causeway is open. Saul tells Robert not to worry, he will go check the house for damage.